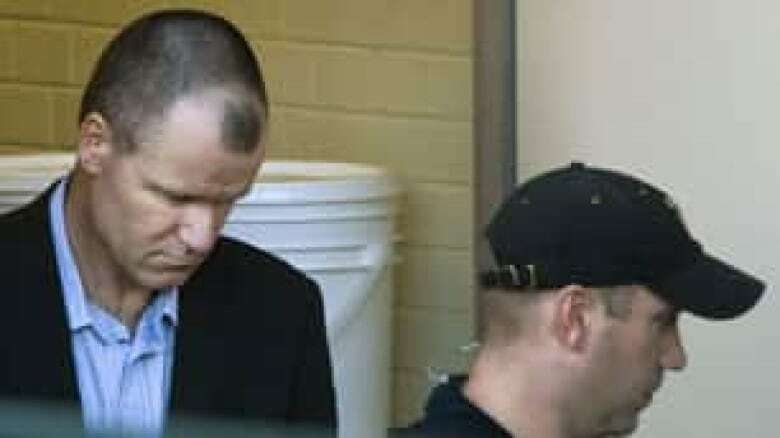 Thousands of explicit photos taken by Col. Russell Williams show his sexual obsession escalated from break-ins to sexual assaults and murder, an Ontario court hears after he pleads guilty to 88 charges. 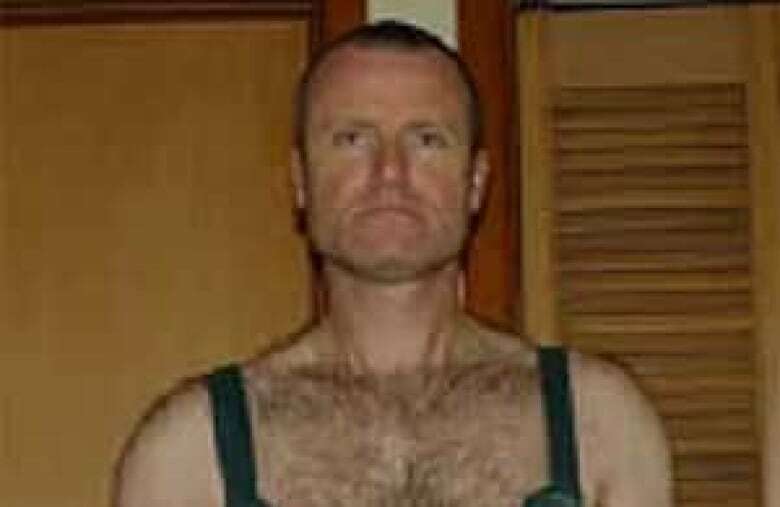 Thousands of explicit photos that Col. Russell Williams took while wearing women's and girls' lingerie show how his sexual obsession escalated from lesser crimes to sexual assault and murder, a Belleville, Ont., court heard Monday. The decorated former commander of Canadian Forces Base Trenton, in eastern Ontario, pleaded guilty to all 88 charges against him — including two counts of first-degree murder, two counts each of sexual assault and forcible confinement and 82 break-ins and attempted break-ins. Williams, 47, was arraigned on the murder charges Monday before Judge Robert F. Scott in Ontario Superior Court. Wearing a dark suit and grey button-down shirt, Williams quietly pleaded: "Guilty, your honour." For the deaths of Jessica Lloyd, 27, and Cpl. Marie-France Comeau, 38, Williams faces an automatic sentence of life in prison, with no possibility of parole for at least 25 years. Crown attorney Lee Burgess told court that Williams had pleaded guilty to some "very serious crimes." "In relation to each of the murders of Comeau and Lloyd, his crimes have been deliberate, both in [the] course of committing a sexual assault, and while he confined his victims," Burgess said. "Given the seriousness of charges, it's important for the court to have a full account of the facts. These facts will be extremely disturbing. The evidence will cause further emotional pain for loved ones of victims." 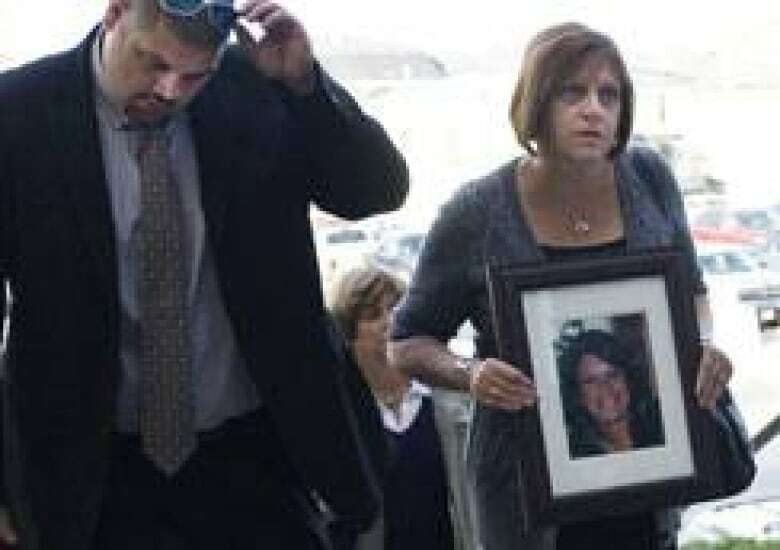 Lloyd's mother, Roxanne, sat in the courtroom holding a large framed photo of her daughter. Also looking on were Belleville’s police chief, OPP lead investigator Chris Nicholas as well as roughly 40 victims and family members, including Williams’s second sexual assault victim, Laurie Massicotte. In one of the sexual assaults, Burgess said the victim awoke to someone holding her head. Williams struck the victim several times and tried to bind her hands with a blanket. He told her he would not hurt her. He covered her head and then undressed her while taking photographs. At one point he left the room. She later noted underwear missing. After his arrest, Williams admitted to being the perpetrator. He broke into the house twice more after the sexual assault. He had two hard drives at his Ottawa residence with catalogued evidence detailing the attack in a document and with photos, including pictures of the victim's driver's licence and insurance benefits card. An agreed statement of facts was read out in court tracing the chronology and escalation of Williams's offences. According to that statement, Williams lived with his wife in Ottawa. In 2004, he purchased a cottage in Tweed, Ont. Following his appointment as Trenton base commander in charge of 3,000 people, he lived in Tweed during the week and went to his Ottawa home on weekends. The tragic events surrounding Colonel Russell Williams stunned all Canadians and none more so than the members of the Canadian Forces. Today's guilty plea is the first step in a healing process that will no doubt take many years. Upon formal conviction we will be in a position to officially begin the administrative process that will lead to Colonel Williams' release from the Canadian Forces. This will be completed as quickly as possible. While we are confident that justice is prevailing, we recognize that this will not diminish the pain and anguish suffered by the families, friends, and communities so directly affected by these tragic events. We extend our deepest sympathies to those affected, and I reaffirm my commitment to promoting the well-being of the men and women and families of the Canadian Forces. The investigation into the crimes began after Lloyd's disappearance. Williams, who was a rising star in the military, was interviewed in relation to the crimes on Feb. 7, 2010. He had come to the attention of police at a Feb. 4 roadside checkpoint, just days after Lloyd was killed, when his SUV's unusual tires were linked to tread marks at one of the crime scenes. The interview revealed his involvement in the deaths of Comeau and Lloyd. Subsequent interviews implicated him in 82 break-ins. Only 17 homeowners reported their homes had been broken into, while 61 incidents went undetected or unreported until Williams's arrest. Most break-ins occurred at night, many after midnight. Williams would place lingerie in boxes or bags when he got home. He was so obsessive in his collection of undergarments that he had to burn some of his trophies in a field to make room for more. Williams broke into at least a dozen bedrooms of girls under the age of 18, including one shared by 11-year-old twins, court heard. One 12-year-old girl found a message from Williams typed on her computer screen: "merci." He admitted to police he sought out homes where "attractive young women" lived, targeting those in their late teens to early 30's. The Crown said Williams's behaviour was obsessive in the number of break-ins, in the meticulous manner in which he dealt with stolen clothes and in the sheer volume of photos he took and methodically filed. Williams took thousands of explicit photographs of himself at crime scenes — wearing women's and girls' lingerie, and masturbating on their beds — which he put in a complex file folder system with a date stamp. The folder system gave a sense of how long Williams was in homes and what he did. He kept a log that stated the nature of the offences and stored evidence of the murders and break-ins on two hard drives. Police found them stored above the ceiling in the basement of his Ottawa home. The Crown painstakingly took the court through each breaking and entering charge, detailing how Williams broke into each home, what photographs he took and what items he stole. This is one of the exhibits released by court showing some of the hundreds of items taken by Russell Williams. This photo is not associated with the sexual assault victims or murder victims. The clothing was laid out by Williams. The photo was not taken in the home of a victim. In discussing a home Williams broke into twice, the Crown said he took the usual photos, plus pictures of family photographs on the dresser. The Crown said the images show a recurring pattern: pictures of a bed, a closet, as well as individual items. On one occasion, Williams spent nearly two hours in a home, the court heard. The Crown suggested that count 62 represents the escalation in Williams's behaviour. Williams admitted that at around 1:30 a.m. on July 11, 2009, he stood in a back yard for 30 minutes and watched the home's occupant go into the shower. He then stripped down and broke into her home while naked, leaving his clothes outside. The Crown called this act an indication his behaviour was escalating. Williams later told police it was at this point he wanted to take more risks. As presentation of the evidence dragged on, the Crown appeared to become more and more exasperated at the sheer magnitude of the crimes. Crown prosecutor Robert Morrison drew the judge's attention to Williams's "dangerous escalation" of repeat break-ins. A photo of Russell Williams released by the court Monday. The item he is wearing is not associated with the sexual assault victims or murder victims. The photo has been cropped and was not taken in the home of a victim. Morrison said Williams's repeated sexually obsessive behaviour dates back to 2007 and 2008 — long before he escalated to actual sexual assaults on women — or the eventual murders of Comeau and Lloyd. In some of the photos, Williams is in a girl's lingerie, wearing parts of what the Crown said appears to be his Canadian military uniform. Many victims' family members and one of Williams's sexual assault victims left the courtroom after he pleaded guilty. Other people in the public gallery were at times shedding tears and shaking their heads. Reporters were also showing signs of anxiety and disgust enduring the ongoing litany of disturbing images. Speaking to reporters after court adjourned, Andy Lloyd, the brother of William's second murder victim, Jessica Lloyd, said hearing the details of Williams's crimes angered him. "I have lots of friends with teenage daughters, and it's terrible," he said. "Nobody likes to hear something like that. Sitting in there today and just hearing the stuff he did that doesn't even involve my sister makes me just as a Canadian angry ... as a regular human being it makes me angry." Court adjourned at 5 p.m. ET and is expected to resume at 10 a.m. ET Tuesday. At a news conference Monday afternoon, the Department of Defence announced it would work to strip Williams of his rank, military decorations and honours as quickly as possible. He will not be able to call himself a retired colonel and will simply be a civilian, officials said. Officers who leave the military in a normal way are entitled to use their rank as a retired officer. The military acknowledged it cannot do anything about Williams's pension and he is entitled to it unless the government takes steps to strip him of it. It would be up to the federal government to enact legislation, for example, said Brig.-Gen. Neville Russell, director general of air personnel. The military would not play a role in the pension issue and has no way of removing the pension, he said. When asked about future screening of officers in the Canadian military, Russell said there was a review of the process and the military was looking at the issue. Russell said the acts by Williams were a "terrible betrayal of the trust" of the military and of the people of Canada. The military police were part of the investigation of Williams, a military spokesman confirmed, but there cannot be a court martial of the colonel. CBC News interviewed neighbours who lived near Williams in Orleans. Lucia Magalhaes said she was surprised Williams committed the crimes because he always seemed so polite and nice. "I couldn't believe that a person could do that and he was living right in our neighbourhood," she said. Robert Gange said it's good now to have closure: "It's been quite a while and we've been through a lot ... I didn't believe it and I still don't believe it, in a way, but I know it's true now, so it's going to be a while before we put in our minds that he was guilty." Said Jo-Anne Albert, reeve of Tweed Township: "We've lost our innocence. Our sense of security and safety has definitely gone, and I don't know if we will ever regain that." CBC News and other media agencies can bring you minute-by-minute proceedings from the courthouse because of a court order issued last week allowing accredited reporters to use smartphones and laptop computers in the courtroom. An earlier version of this story incorrectly identified Jo-Anne Albert, the reeve of Tweed Township, as Jo-Anne Reed. Agreed statement of facts heard in Russell Williams case on Oct. 18, 2010. WARNING: Graphic content.